A 17 year old sophomore high school student, Takashi is in the same class as Rei whom he has been friends with since childhood,He's loved her ever since she made a childhood promise to marry him when they were older. However it was his hesitance and ignorance about her feelings that caused tension in their friendship which led to her starting to date his friend Hisashi. He was one of the first people to notice that something was wrong in the school and quickly took action to escape with his friends. His relationship with Rei was shaken further when he was forced to kill her boyfriend after he was bitten and had turned into a zombie. Soon afterwards their relationship was amended. His resolve to protect Rei at all costs and everyone else in the group earned him their respect and admiration as a leader despite his own feelings of inadequacy. He often acts brash and will go out to risk his life to save or protect someone on a whim. Similar to Saeko, Takashi confessed that he's found an exhilaration in killing "them". Though initially depicted as a poor student who often skips class, he's proven to be a very reliable person that all the characters can count on. 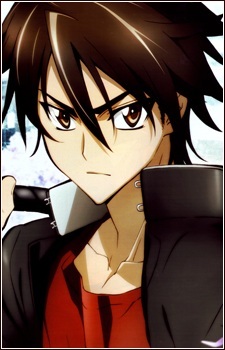 Saya Takagi has once mentioned that he and Kohta are the most likely to snap if things keep going the way they are. Like the rest of the group, Takashi is determined to find his parents and to make sure that they're safe.